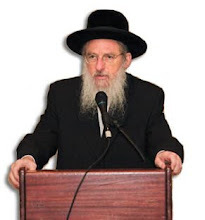 Rabbi Dr. Dovid Gottlieb is a senior faculty member at Ohr Somayach in Jerusalem. An author and lecturer, Rabbi Gottlieb received his Ph.D. in mathematical logic at Brandeis University and later become Professor of Philosophy at Johns Hopkins University. His book Ontological Economy: Substitutional Quantification and Mathematics was published by Oxford in 1980; The Informed Soul was published by Artscroll in 1990, and has recently been reprinted. He is a regular lecturer at kiruv conferences and known for his stimulating and energetic presentations on philosophical issues of Jewish interest.